A majority of the projects the Muhammadu Buhari administration is working on was inherited from previous administrations, the Special Adviser to the President on Media and Publicity has said. 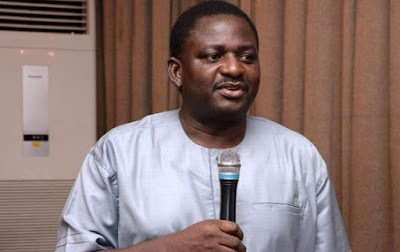 Mr Femi Adesina said this when he appeared on Channels Television’s special Independence anniversary programme on Sunday. “Most of the things this administration is doing – 60 to 70 percent of them – were initiated by previous governments,” he said. As a result, Mr Adesina said there are many half and quarter-completed abandoned projects. But rather than abandon the project, he explained that the current administration will complete it. An example is the Abuja-Kaduna rail project which the Presidential aide said was up to maybe 60 to 70 percent complete when the last administration left. “This administration came, completed it and inaugurated it. Then you will still find some people shouting, ‘they are claiming credit for what the past administration started,” he said. Another example is the Mambilla power project, which has been in the works since 1972, but has now started taking shape under this administration. In going about its activities, Mr Adesina said the Federal Government follows due process in the awarding of contracts, stressing that projects worth above N50m will require the permission of the Federal Executive Council before such a contract can be awarded. “One thing this government does scrupulously is to follow due process in the award of all these contracts and projects. » The most stupid person Akpos finally died and made it 2 heaven after all d rubbish things he did while on earth.